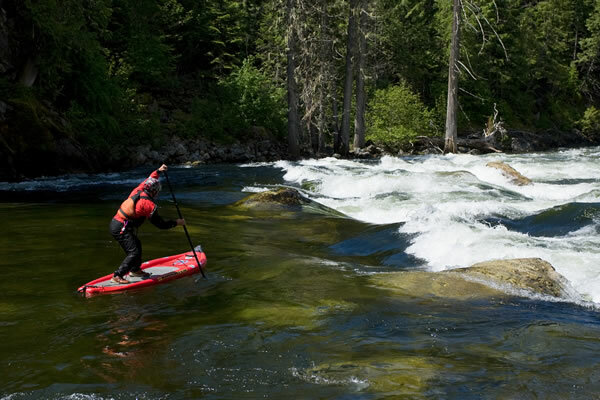 Best Inflatable SUP Yoga Boards & Top Exercises To Do. 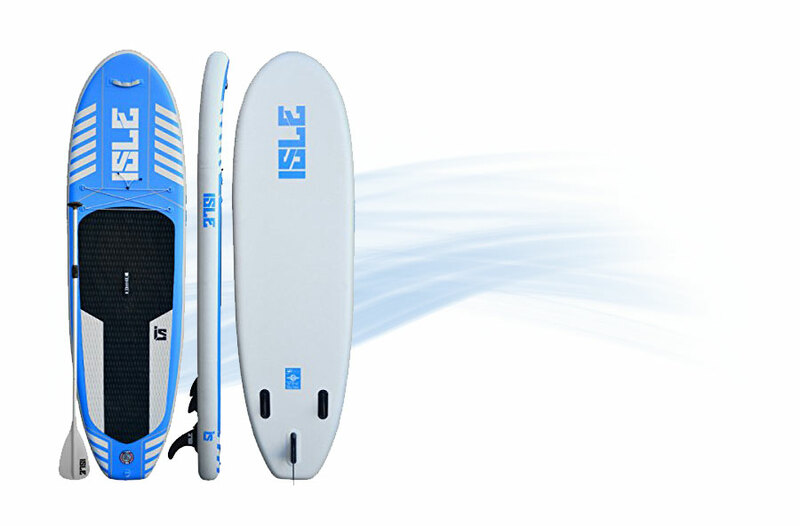 Are you looking for the Best Inflatable SUP yoga boards? 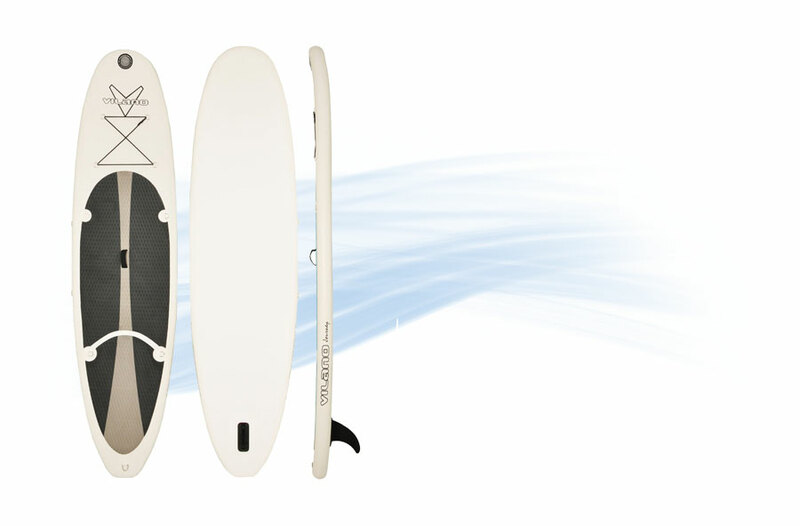 There are many SUP yoga boards out there. Therefore to have the best you should have a look at this before but you make your decision. 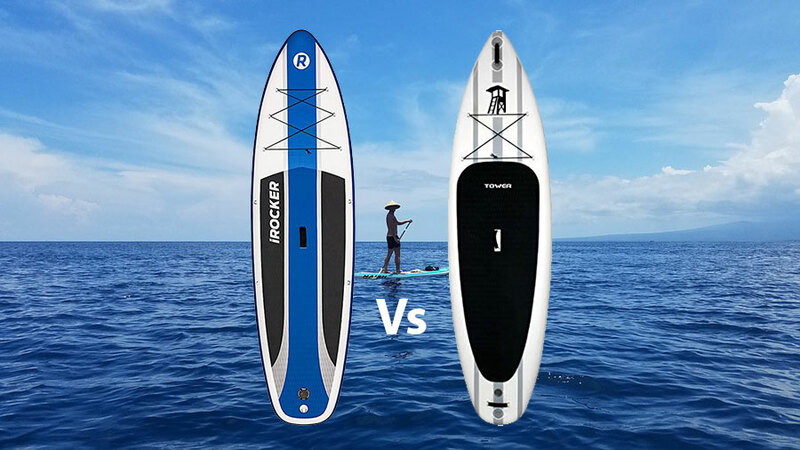 To make it simple for you to pick the best Inflatable SUP yoga boards in the market, below is a list of the best Inflatable SUP yoga boards that you should purchase have a look and select the best for yourself. 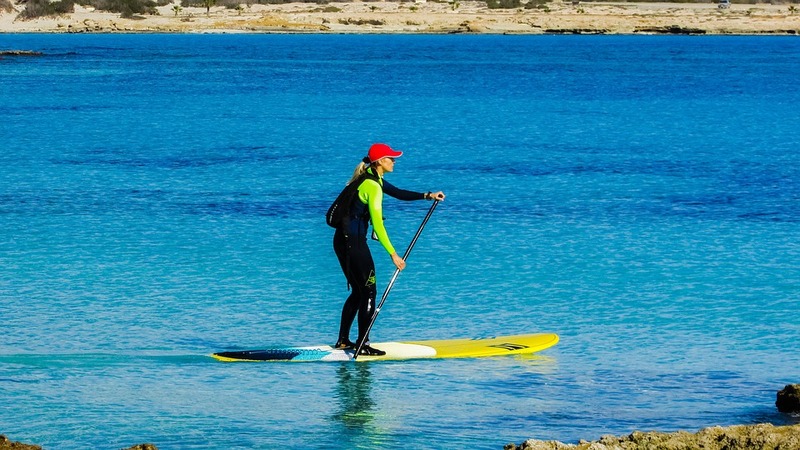 We round up the top 5 best inflatable stand up paddle boards that are perfect for yoga out on the water. One of the best boards for people of all skill levels. This is board that is both portable and convenient for our needs. With it being fitted with military grade PVC, renders it indestructible. With a board that is easier to puddle, this is yoga board that is recommended for all to try and see just how much fun there will be. 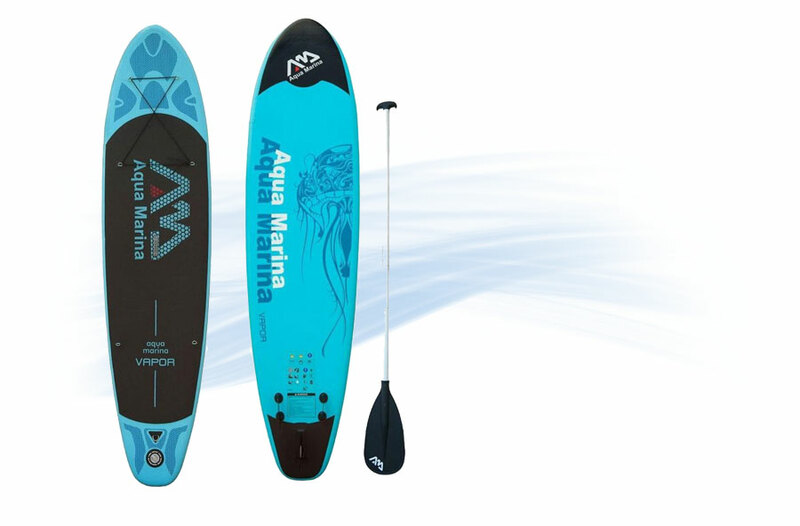 It comes with a three piece adjustable paddles, a manual pump, 3 fins and a repair kit. It is a board that will not disappoint. 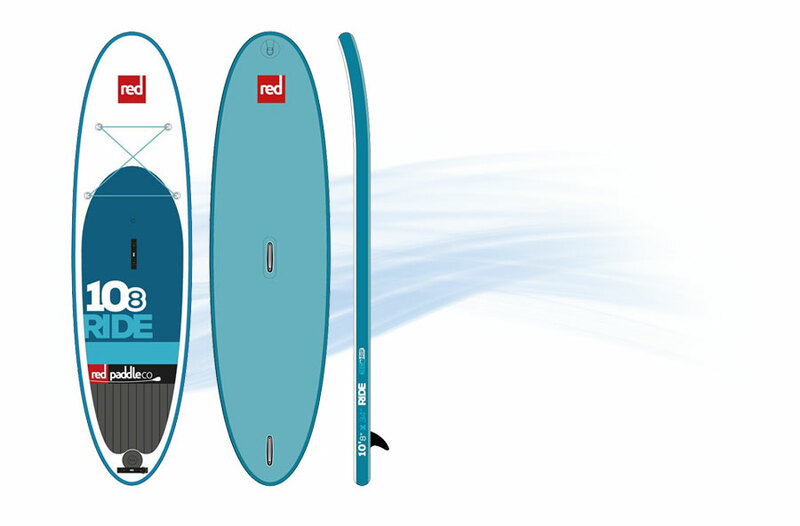 With its increased width it will increase the traction foam area which will enable increased grip on the board. This will come in handy when doing yoga. It also promises durability with the double outer skin it comes with. 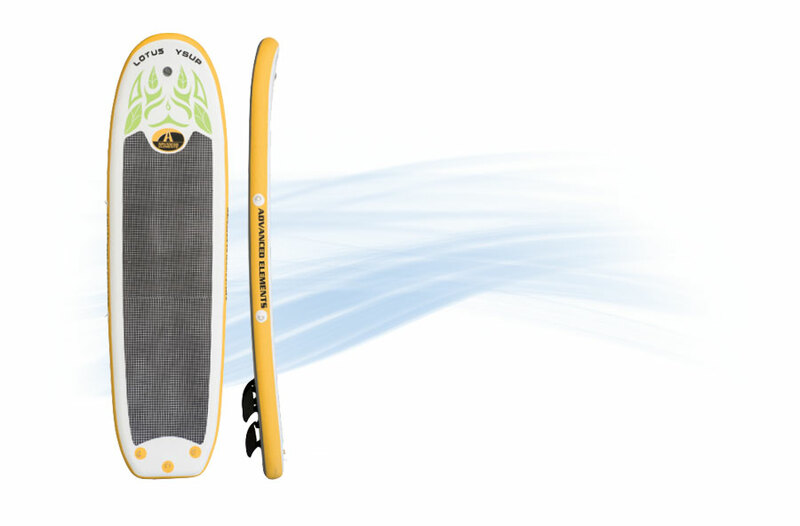 The board comes with a hand pump and a gauge for high pressure inflation. This is an awesome piece to have. When you buy it, you get backpack, a gauge and three piece paddles. It has a stainless steel D-ring which is for safety. Apart from this, a leash is also provided to help increase the safety. There are other three extra D-rings which are used to secure the kayak seat. This is a perfect board for yoga. It provides enough safety for you. 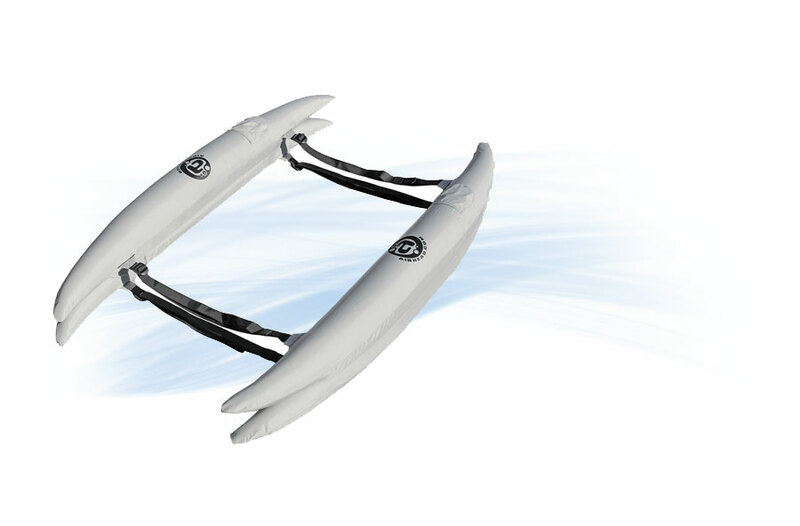 For those looking for thrill, it also brings stability and speed in the water. Currently on sale, you will save up to 940 dollars. It also has a 2 year manufactures warranty ensuring some security for you as you buy it.It is as light as 30% lighter than the other comparable models in the market. With its measurements it comes in handy for yoga. This is also made so by the fact that it has 14 D-rings on the surface to help tie done anything you would need tied down. 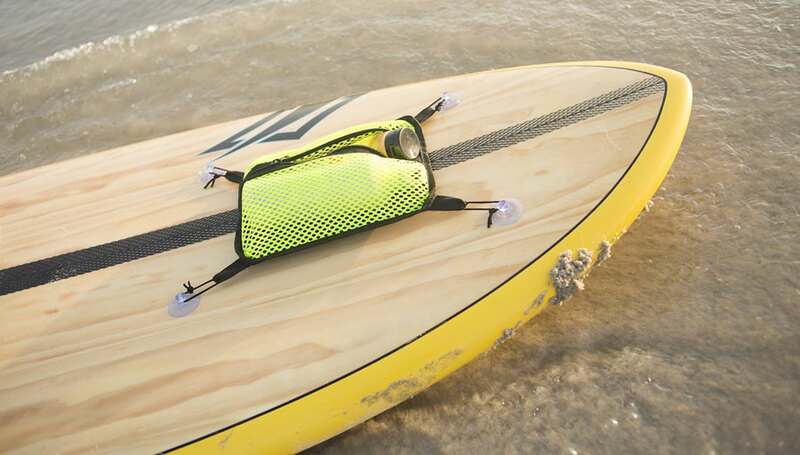 Unlike the others, this board comes with a yoga board strap for all your yoga needs. With an elastic bungee cords that help hold the cargo in place. 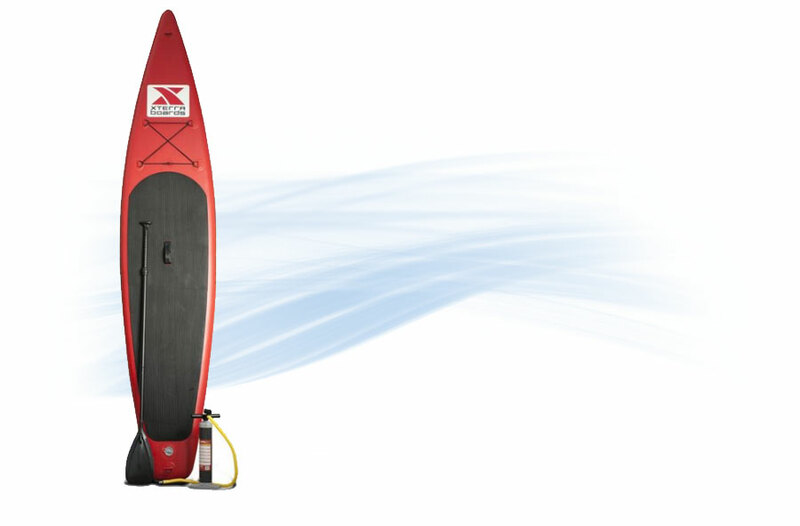 This SUP board comes with several accessories including a carry bag, shoulder carry strap and also a repair kit. 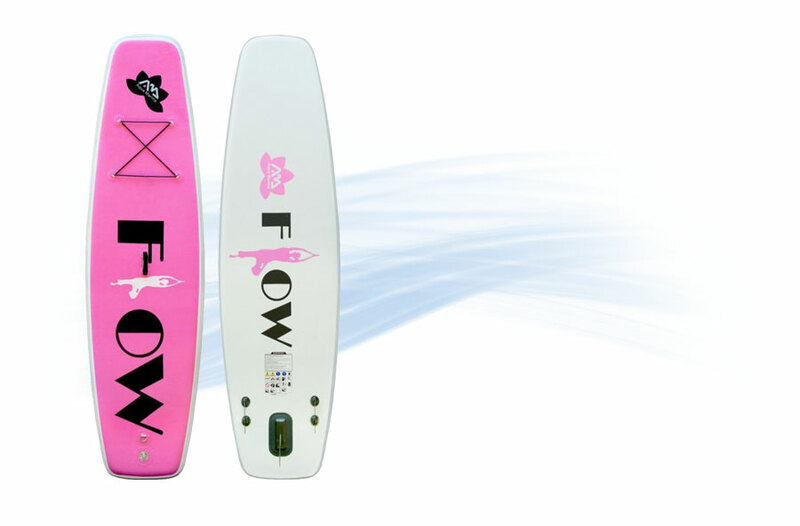 This is a perfect fit for surfing, fishing and yoga too. According to various reviews from some satisfied customers, it provides adequate services. 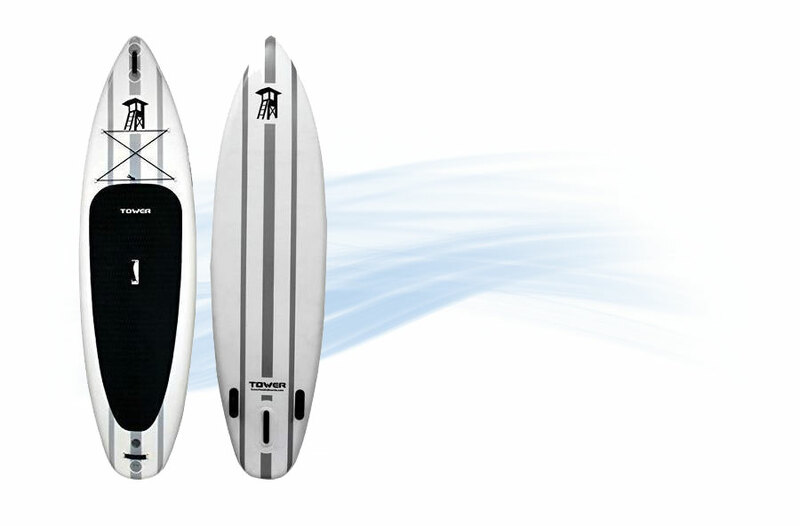 The above are indeed the best Inflatable SUP yoga boards you should purchase. 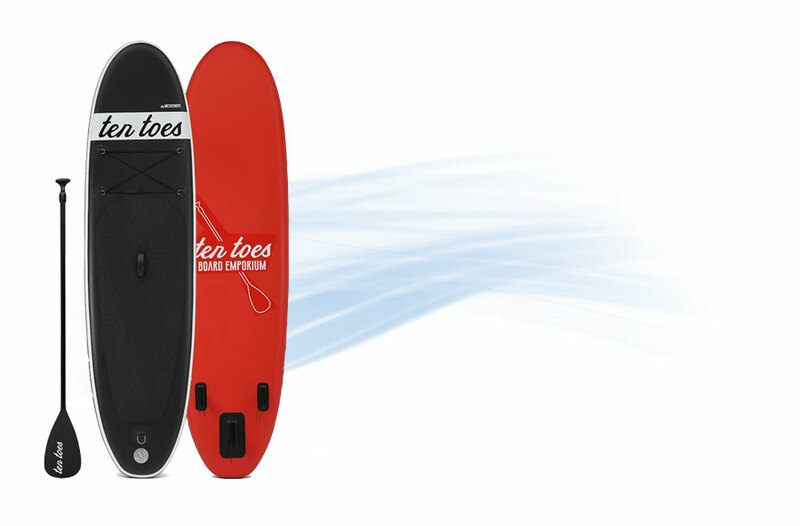 They have excellent as well as amazing features that will be perfect for all your yoga board needs. Therefore you should select any of the above yoga boards and then you purchase it for yourself and enjoy your yoga activities. 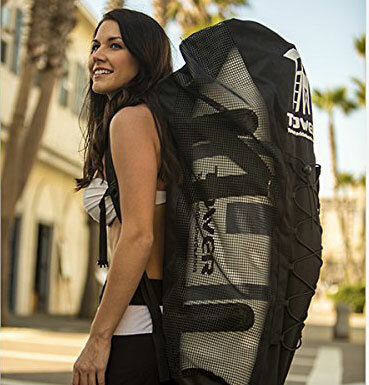 Once you have the board there are some great accessories that can help you perform yoga on your board and also store our important goods such as water, sun cream and your valuables. This is one that covers a variety of purposes once you have it. Want to go and fish and still have a good yoga time? You have it all in one package. 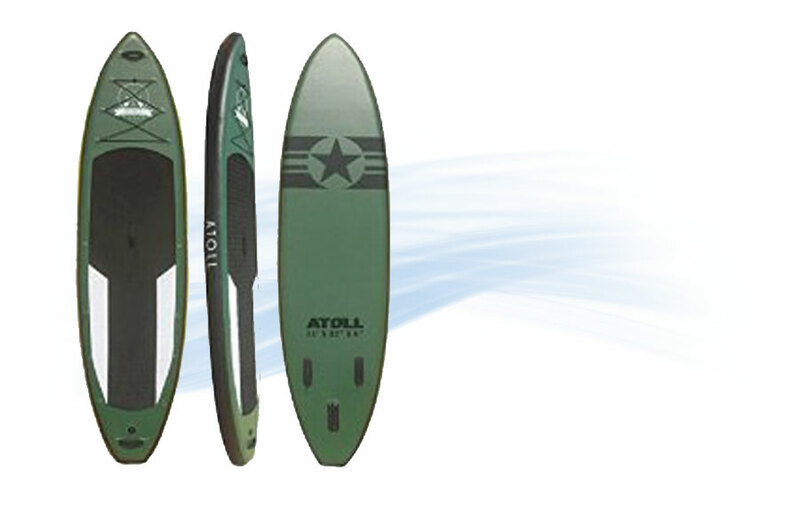 It is the perfect SUP for a variety of groups of people including beginners and plus size paddlers. It inflates and deflates fast enough because of the speed valves it has. This is a board that is all rounded. It comes with a mesh bag that can hold all you need including your water bottle or even some snacks. The perfect board for yoga. With extra strength industrial cups that are able to help keep your bag on board. 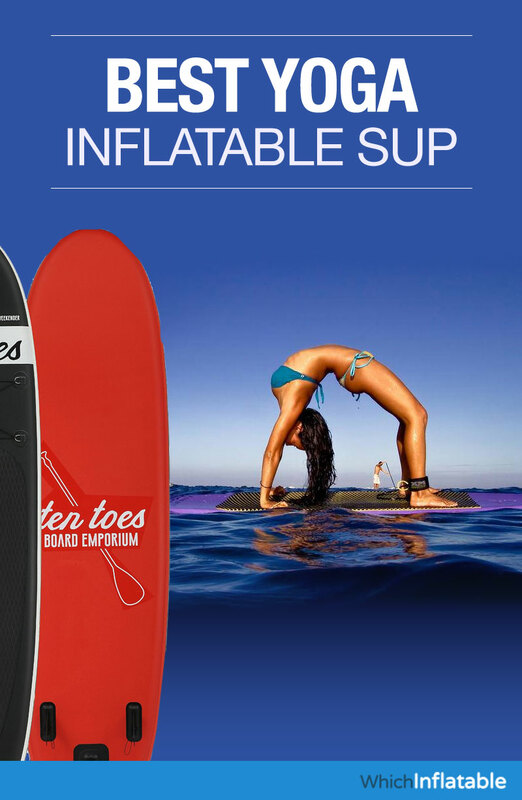 It is a very quality boarded designed to provide the best yoga experience on water. 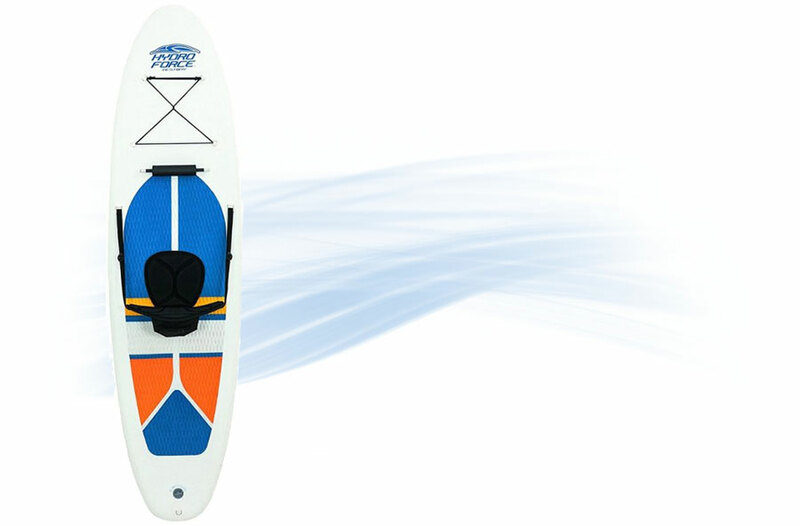 This board will help give you a good experience in water. Yoga is a great workout. 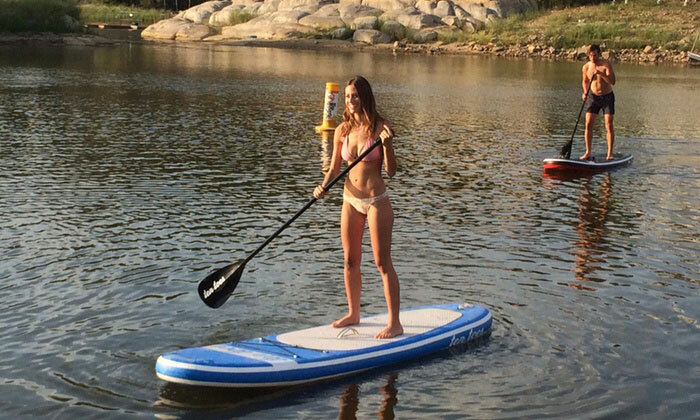 Yoga can be even more effective when it involved a paddleboard. This will allow a person to work out their core muscles and design their own routine. They will also get to enjoy some time on the water what is great for their mental well being. 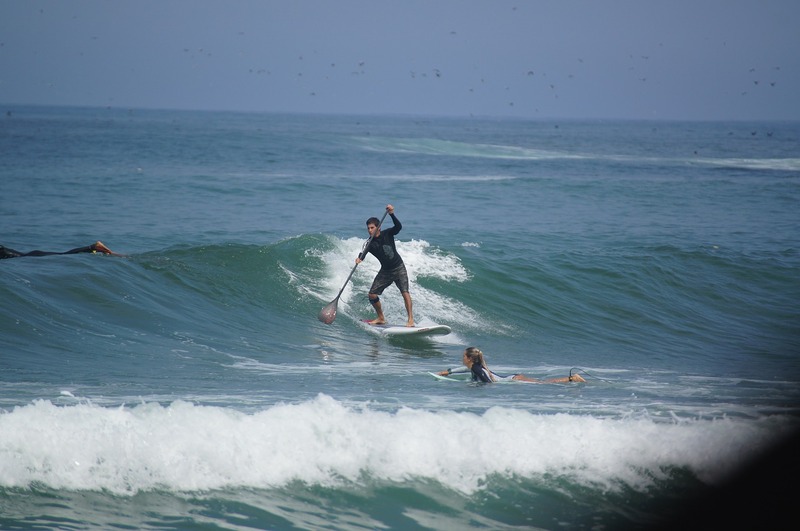 SUP yoga is fun to do and these are some great SUP exercises that a person can do as part of their fitness plan. This is a popular yoga position and now it can be modified to be part of the SUP yoga program. A person will get into this position while getting on their hands and their knees. The fingers are spread wide. The index finger and the thumb should be put on the board. The toes should be curled and the buttocks should be pointed up in the air. 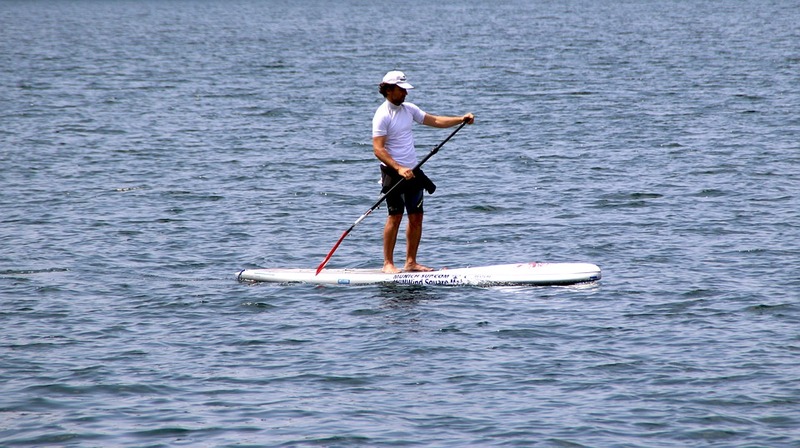 A person will focus on pushing with their hands and the forearms are lifted away from the paddleboard. The mid section is tightened to help work out the core of the body. A person’s heels should be facing the ground. The lower back has to be kept tight and the knees are bent while the buttocks is lifted into the air. This position is held for a period of 30 seconds or more . It should be repeated three times. This will work out the calves, hamstrings, as well as the lower back. This position will also help tighten the core muscles as well as the shoulders. To complete a knee lunge a person get into a position of the downward dog. There are some differences. The left foot is placed between the hands and the right knee is placed down on the board. The toes are lifted and the back is arched. A person should use the toes on their other foot to help keep them stable. The feet should be kept hip distance apart. The hands can be placed on the thighs to help a person keep their balance. The stomach is tightened to help work out the core muscles. This position is repeated for 30 seconds. A person should then switch feet with the other foot in the lead. This position should be held for another 30 seconds. This exercise will help work out the tights, hips, and the psoas. This is an easy pose to get into when warming up. A person will sit on their board in the virasana position. This position is also known as the hero pose. The right hand is put into the left knee. The light hand is placed behind the body. A person will then twist the body to the right side and turn the head to look over the left shoulders. The body is rotated in the same manner. A person will take a deep breath, hold it , and return to the center. This exercise is repeated with the other side. 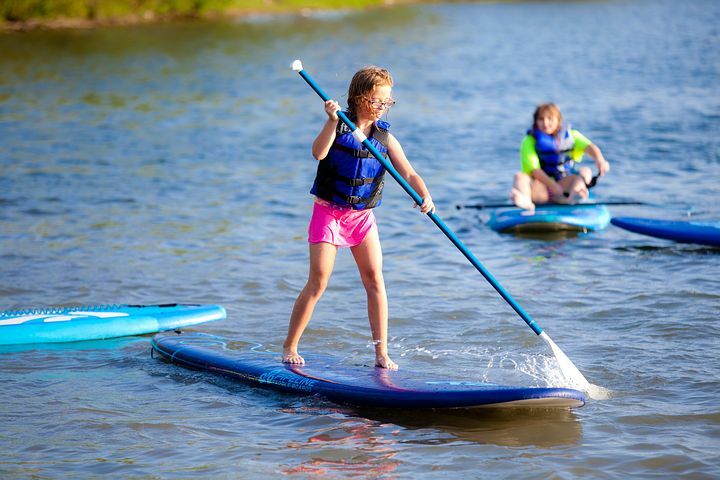 These are some of the exercises that can be done on the SUP board. These exercises will help relax the mind while they are working out the body.